Enjoy this morning yoga sequence when you wake up to get your body moving and feeling great. The perfect practice for beginners or those looking for a slower pace to start their day. Stretches out any tension from the night before. Sets a great intention for your day. Helps to get rid of any negative or bad mood. Wakes you up and energises you. Gives you a little ‘me time’ before the busy morning day. Helps to clear the mind ready for a busy day. When you practice in the morning you tend to stick to it as you don’t have people wanting things from you first thing in the morning (hopefully). It’s a fun way to start the day! For more benefits have a read of a blog post I wrote all about morning yoga here. 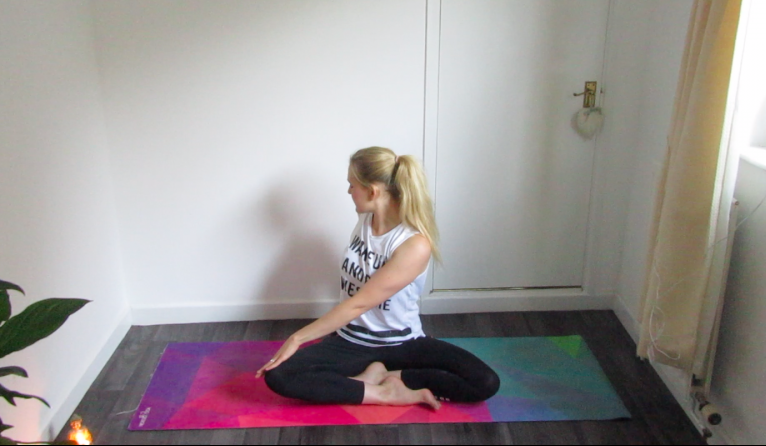 If you missed my first ‘Yoga for beginners’ video, check it out here: YOGA FOR BEGINNERS. Here is a sequence I have created for you that stretches the body gently from head to toe. Looking at gentle twists and forward bends. We also look at Warrior II in detail.